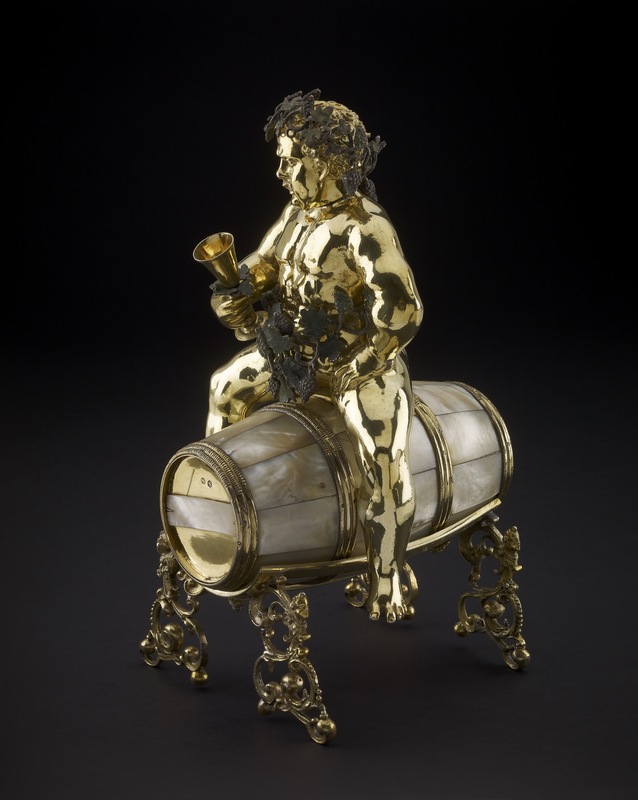 The drunken Bacchus sits on a wine barrel as a joking reminder of the dangers of drunkenness. Combining exotic pearly shell with silver sculpture, this figure typifies art designed for the courtly collections (Kunstkammern) of baroque Europe and was acquired by Baron Anselm Rothschild before 1838. Dora Thornton, 'A Rothschild Renaissance: Treasures from the Waddesdon Bequest', British Museum, London, 2015, pp.290-295.